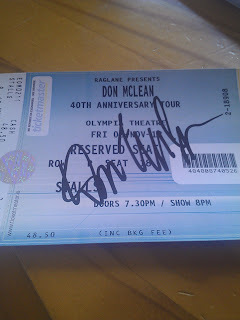 Friday night, my Mum and I went to see Don McLean in the Olympia Theatre, Dublin. I will be writing a full review of it in the coming days. 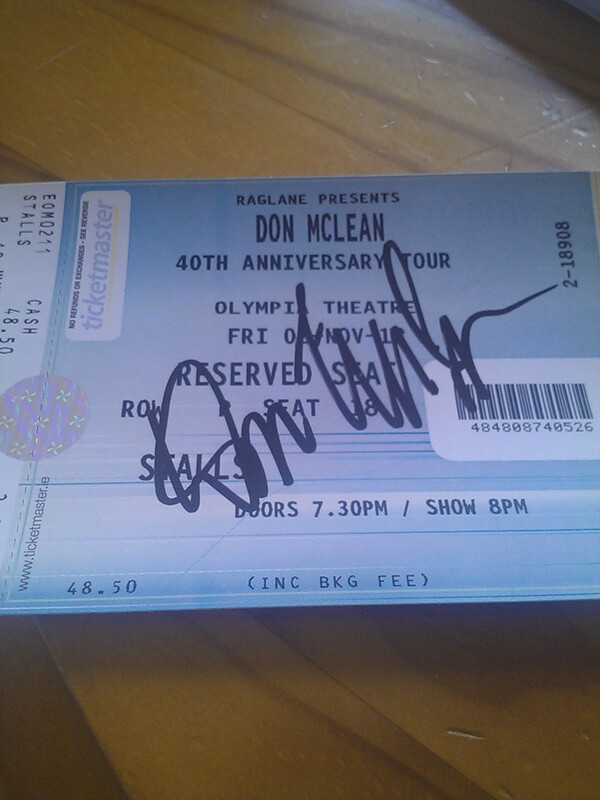 We even waited to meet him after. Very exciting! 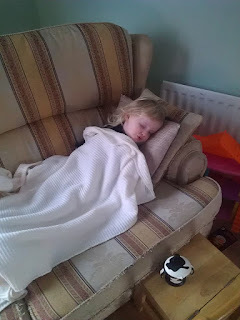 Yesterday, I was only home from Dublin about half an hour when Beth came back from her Dad's. She was a little off colour and actually took a nap on the couch while I made dinner. Very unlike her. When she woke up she was shouting some weird things. She was running a mad temperature so was probably hallucinating. She was also complaining of really bad pain in her belly and 'headsford' (forehead). I rang the on call doctor who told me to bring her to the out of hours surgery straight away. I was terrified it was her appendix. To make a long story short, she has a bad throat infection which is causing the pain in her belly. Doctor prescribed antibiotics. She'd a tough night last night. Woke up every few hours coughing, high temp and vomiting. Hopefully it'll pass with the medication!